For $500 I will craft a customized Op-Ed. For $1,250 I will craft a customized Op-Ed for you and place it. For $1,875 I will craft a customized Op-Ed for you, place it, and amplify it. Respond this week and let's get your message out there. 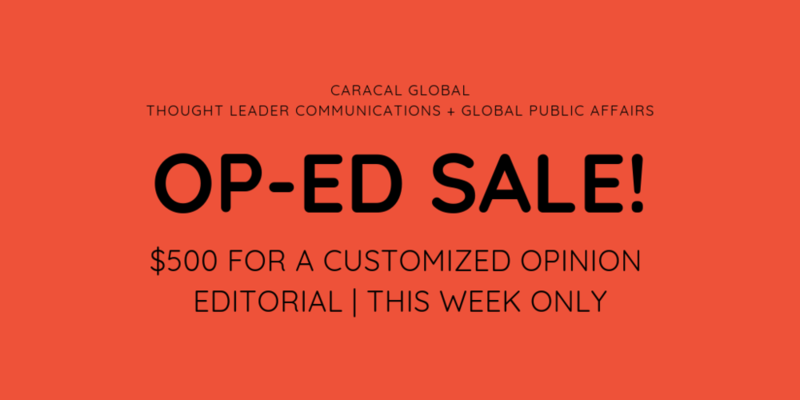 Drop an email to marc@caracal.global.